The late, great David Bowie is best known for his musical stylings. But he also had a pretty decent film career. The cult classic Labyrinth features the Thin White Duke as the Goblin Kin Jareth. He messes with a babysitter played by Jennifer Connelly, who makes the mistake of innocently wishing away her charge, who happens to be her brother. 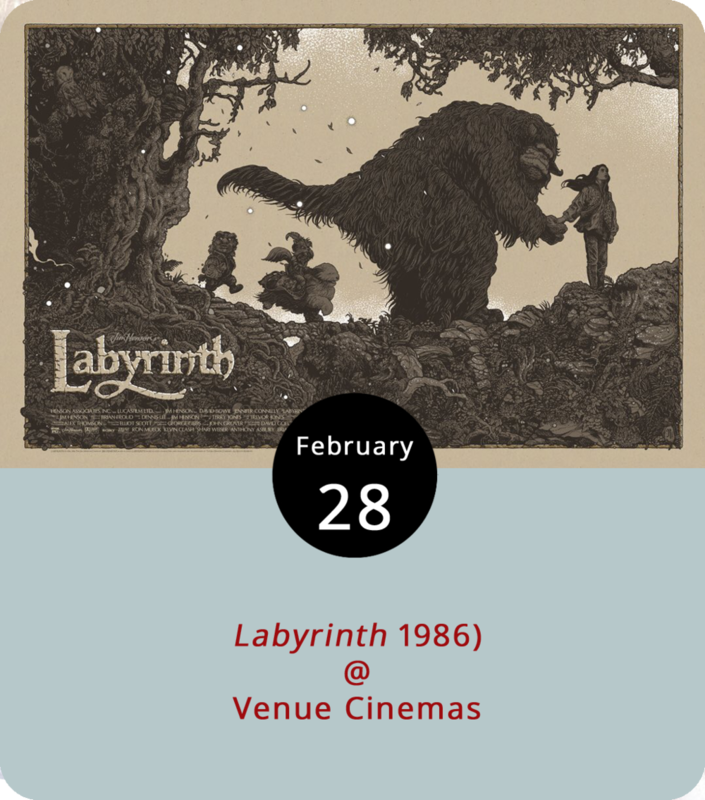 With help from a goblin, a beast, and a knight, she must make it through a maze devised by Muppets mastermind Jim Henson who directed the film. It’s this week’s classic from Venue Cinemas (901 Lakeside Dr.), with screenings today and tomorrow at noon, 2:20, 4:40, 7, and 9:20 p.m. For more information, click here or call (434) 845-2398. Although participating in a dating show like The Bachelorette isn’t the most conventional path to a music career, it also isn’t totally disqualifying. 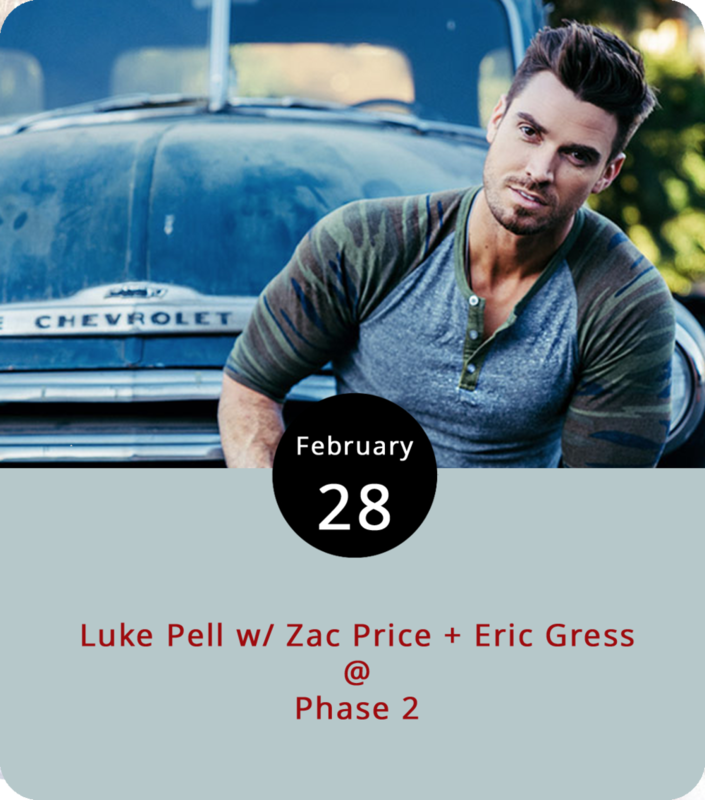 Luke Pell is a Texas native, West Point grad, and Bachelorette survivor who’s now working it as a touring country singer. He performs at Phase 2 (4009 Murray Pl.) on a bill with Roanoke country singer Zac Price and Eric Gress out of Pulaski. By the way, Pell was a runner-up in the 2016 Bachelorette season. Tickets are $10 for the all-ages show. For more information, click here or call (434) 846-3206. What do a magazine editor and a professional keyboardist know about brewing fine craft beer? We’re not exactly sure, but Relix magazine’s Dean Budnick and Kyle Hollingsworth of the jammy band String Cheese Incident got together with Atlanta’s SweetWater Brewing Co. to concoct Ground Source IPA for the brewer’s annual SweetWater 420 fest. The Cavalier Store (2920 Rivermont Ave.) will feature the 7.1% ABV brew along with others from SweetWater tonight as the bar hosts a steal the pint night starting at 5 p.m. It’s a rare event for the Cav, and we’re going to recommend an order of fries with season salt and ranch dressing to go along with that brew. For more information, click here or call (434) 845-3837. In December of 2016, LynchburgDoes was just an idea that was rapidly coming to fruition. We knew there was more happening in this little town of ours than many people suspected. We sensed that there was an audience for a thoughtful and accurate source for detailed information about events and culture in Lynchburg. And we were pretty sure we could create an accessible hub for informative, reliable, and even entertaining listings and reporting on music, theater, food, drink, and a range of other things to do in and around town. So we launched the website just a few days before New Year’s Eve, 2016. The site is now just over one-year old. We made it through more than 52 weeks, publishing a full roster of eight-days of events and happenings every Wednesday. We’ve made a lot of friends in the community in the past year. We’ve discovered new places to eat, drink, and be merry. And we’ve solidified our belief that there’s plenty of fun stuff to do in Lynchburg. To those of you who have been using LynchburgDoes as a resource over the past months, thank you. To those of you who are new to the site, welcome. We look forward to moving forward with your support and to celebrating our second anniversary next New Year’s Eve. We can’t all be P-Funk stars. But you can pretend tonight at the Academy Center of the Arts (519 Commerce St.), where they’ll have a real band on stage for a live-band karaoke extravaganza. The song list, posted on the event Facebook page, tends toward funk music, with a little rock sprinkled in for good measure. Makes sense, given that members of the local band Tony Camm & The Funk Allstars are handling the live music side of things. Camm and his band will be performing their own show at the Academy tomorrow night, which you can find out more about by clicking here. The karaoke is free tonight from 6-9 p.m. For more information, click here or call (434) 846-8499. While some people pair beer with dinner, Fifth & Federal Station (801 Fifth St.) is matching Deschutes Brewery selections with their weekly open mic tonight. The Portland brewery with an outpost in Roanoke will be featured in branded pint glasses customers can take home from 7-11 p.m. For more info, click here or call (434) 386-8113. Rivermont Pizza (2496 Rivermont Ave.), who host pint nights and tap takeovers on most Thursdays, is featuring Brooklyn Brewery’s Black Ops, a beer the brewer jokingly claims doesn’t exist. If it did exist – and it does — the 11.5% black stout would be, in the words of certain secretive Brooklynites, “aged for months in bourbon barrels, bottled flat, and re-fermented with Champagne yeast.” Sounds interesting. The event starts at 6 p.m. For more info, call RP at (434) 846-2877. While most First Friday exhibit events are about showing art, the Resilience Interactive Community Art Project at Lynchburg Diversity Center (901 Jefferson St.) is about doing it yourself. The Diversity Center, a nonprofit LGBTQ+ community advocacy group, welcomes all to add their voices to an exhibit that’ll be up through April 20. They’re providing the art supplies; you provide your perspective to the discussion about “how to practice resilience in our community through Radical Acts of Self Care.” The event runs from 5:30-8 p.m. in Gallery 201 on the second floor of Riverviews Artspace. For more information, click here or call (434) 515-1143. This is just one of the events happening downtown this evening as part of First Friday. Check out the First Friday website for more info.